TJEd sounds good to me... But how do you actually do it???? 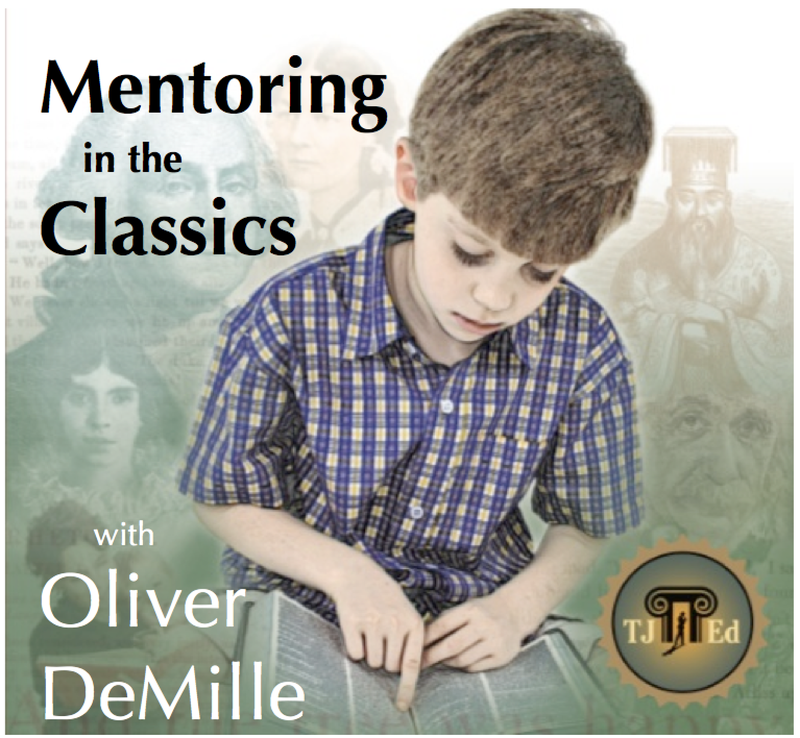 Mentoring in the Classics with Oliver & Rachel DeMille! 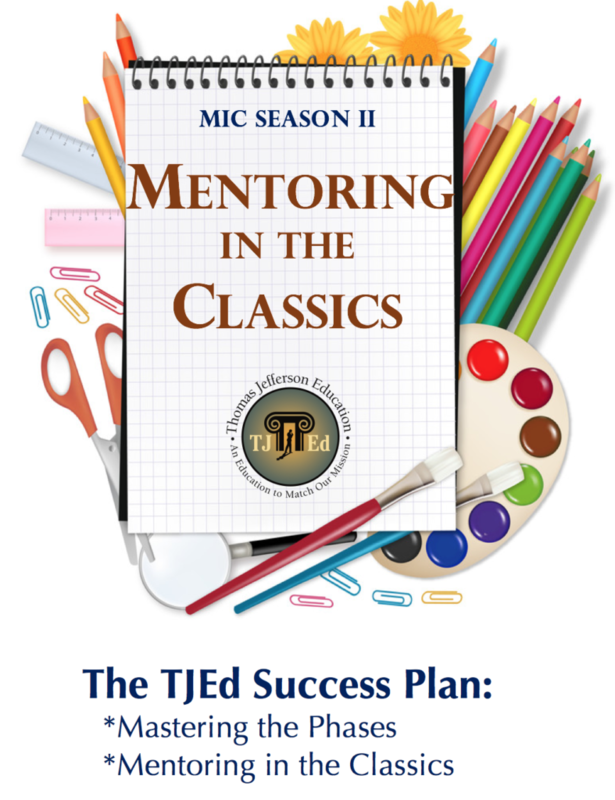 If you want to lead out, establish a family culture of excellence and learning, experience the mentoring of youth through family discussions, find the treasures and transformation by coming face-to-face with greatness - then Mentoring in the Classics is the answer for you. This multi-award-winning subscription series is ideal for adults, youth, parents, book groups, Commonwealths, teacher training – anyone who’s ready to experience the classics with master mentors Oliver and Rachel DeMille as your guides! Every person has inner genius. Thomas Jefferson Education consists of helping each student discover, develop and polish his or her genius. This is the essence and very definition of great education. 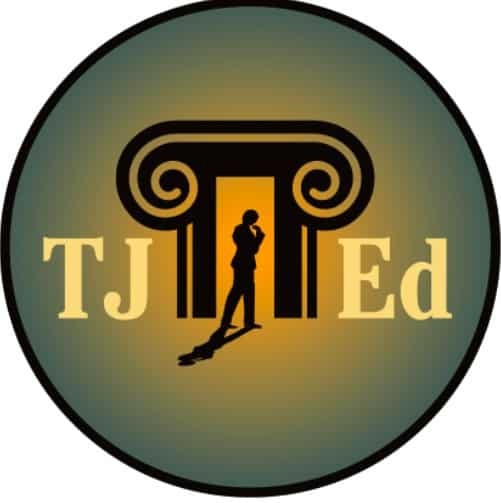 I'm Rachel DeMille, one of the founders and co-authors of the TJEd resources. I'm here to help you find your fit with TJEd, so you can have minimum stress, maximum joy, and a clear path to success! Let me walk you through getting started with TJEd. Really *own* the principles of Leadership Education so you can act with confidence, vision and purpose. Experience this step-by-step process, utilizing videos, audios, study guides, workshops, quizzes, discussions and more! This course comes ready-made, with a mentor and community that will leave you empowered to lead out--not only in your own education, but in the education of your family and your communities. A PDF downloadable Study Guide with recommended resources, additional readings, discussion questions, etc. 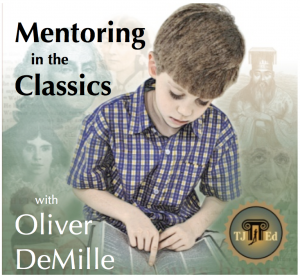 Oliver DeMille's underground bestseller is the catalyst for a movement that enshrines classics, mentors, and developmentally-leveled learning environments, with parents leading out and inspiring their children to get "An Education to Match Their Mission." The perfect foundation for the MIC experience. Fisher's Understood Betsy is a beloved classic that illustrates the transformation that occurs in the life of a young girl who is stunted in her personal, emotional and intellectual growth when she is given the opportunity for a fresh start in a healthy, supportive and principled environment where she can thrive. Excellent for those wanting to internalize the skills of change and the vision of educational ideals! Dumbing us Down has stood as a witness from one with a unique and authoritative perspective that today's mainstream educational system does not nurture or reward individual genius, creativity or innovation. It stands as a challenge and an invitation to define our own educational ideals, describing in uncompromising terms the need for the type of education we'll pursue in this series. MONTH 4: Lindbergh's Gift from the Sea simply cannot be read incorrectly; it is all about pondering, applying it to your life, thinking creatively, intuitively, authentically. Careful thought has gone into the succession from Gatto to Lindbergh - the former being an exposition of what is wrong, the latter, a "healing" book; first the "tell", then the "show." 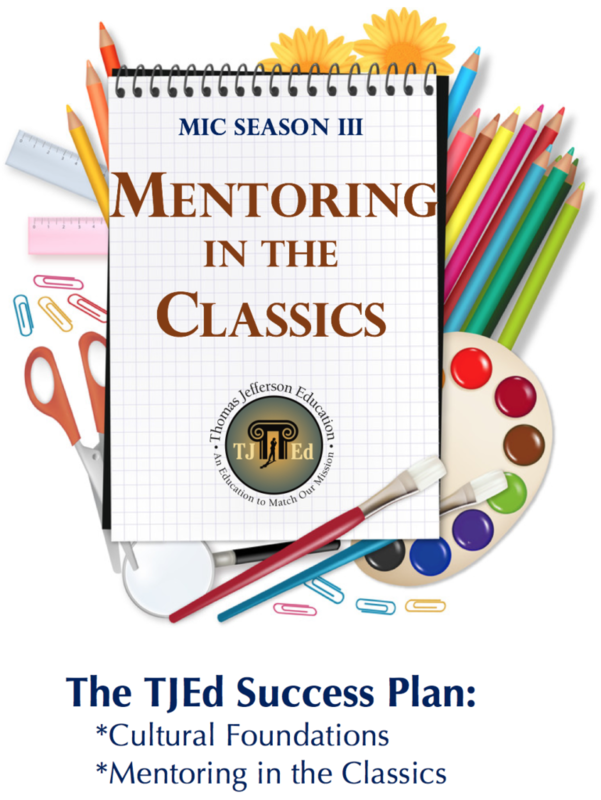 The Audio Mentoring and Study Guide for Lindbergh are important, as they establish the unique and effective methodology by which this course will progress. MONTH 5: What's So Great About the Classics is a treatise that speaks to the challenges and opportunities in today's educational environment, be prepared for higher education, and prepare successfully for the coming economy, while raising a great soul (plus other goals and values common to conscientious parents in our day and age) - by mentoring through the classics, using the principles and practices of Leadership Education. MONTH 7: DeMille & DeMille,The Phases of Learning - Starting out with a survey of educational and developmental scientists who describe healthy phases and transitions, and then proceeding through life phases covering infancy through grandparenting, The Phases of Learning has been hailed as the DeMille's greatest work thus far on education, and stands as a nuts-and-bolts guidebook for successful family life and learning. MONTH 8: Latham, Carry On, Mr. Bowditch - The true story of Nathanael Bowditch includes adventure, romance, hardship and triumph - with a backdrop of an education through the phases of learning that illustrate a successful life and mission, based on effective study with mentors and classics. MONTH 9: DeMille & Brooks, Thomas Jefferson Education for Teens - Many have protested that Thomas Jefferson Education for Teens was misnamed, as it serves as an inspiration not only for youth, but for adults who wish to recapture the educational experiences and lessons that they wish they had gained in youth. This book helps young and old to get in touch with their purpose and mission, and includes a 5-year reading plan to help them achieve their educational goals. MONTH 10: Since Austen's Pride and Prejudice is a longer work, the months previous and following are less time-consuming. It's a favorite - both familiar, and worthy of repeat reads. Is there a book out there that Hollywood has adapted more times? There must be a story there, LOL. You'll have time to get into this lengthier title early, as TJEd for Teens is actually quite concise, and serves as a great backdrop for this insightful and witty work. MONTH 11: Lowell "The Present Crisis" (link downloads PDF) by James Russell Lowell is a profoundly beautiful (and short!) work, which Oliver will give a line-by-line treatment - thus reinforcing the participants' ability to appreciate and comprehend the language of the classics. This provides a great segue-way to next month's Shakespeare, which some have avoided because of the unfamiliar language, and which is so beloved by readers and theater-goers for generations. MONTHS 12 - 13: Shakespeare & Potok The progression from Two Gentlemen of Verona (the Shakespeare play on homeschooling) and Potok's The Chosen is especially poignant, as they have similar plot elements. Both address the power of education, especially Scholar Phase education; both consider the affect of education and upbringing on the individual outcomes in adulthood. MONTH 14: The Declaration This month's selection, The Declaration of Independence, (link downloads PDF) is a freedom classic that articulated for the world, then and now, the nobility of the human soul, and the inestimable worth of liberty. As this is a shorter title, you'll have time to get started early on next month's reading! MONTH 16: Lewis Again, the selection preceding the monumental Hugo is short, as is its follow-up, this month's: Lewis' "The Inner Ring." This one is perfect to help define Why We Do What We Do. Originally our September 2014 reading, it is timely, as the advent of fall and "serious" school often puts our goals and methods under the scrutiny of measuring up to others' expectations, and demands that we have clarity of vision and purpose, to follow our inspired--and inspiring--path. MONTH 17: Schneider Our October 2014 content first debuted in the season when many of our participants are in the thick of home or classroom studies, and so we introduce our first math classic (if you don't count The Chosen - and you really should!). Schneider's A Beginner's Guide to Constructing the Universe is an easy read and tends to turn math haters into math lovers, and math lovers into serious math students. MONTH 18: Bronte This month brings another perennial favorite: the courageous Jane Eyre. Bronte's beleaguered and faithful heroine always inspires such meaningful discussions. The Debriefing Audio for this title featured more than one serious about-face from our participants with regard to their love or hate of this book. Lively and penetrating, you're sure to enjoy this one! MONTH 19: Wilder Our December 2014 reading highlighted a time when many of our participants suspend their normal routine to focus on family, traditions, worship and celebrations. In this spirit, we have chosen a great family read: Little House in the Big Woods by Laura Ingalls Wilder. If you find this a strange choice, trust us. It's chock-full of amazing content - especially on the topics of family culture, education and community. Oh--and it's not a "girl" book. Seriously. There are bears, whittlin', and all sorts of manly fare. We will periodically update the reading schedule in-course, so that you're kept informed of the upcoming books. Expand your mind • Learn “in the flow” • Increase your epiphanal rate! The 7th Key of Great Teaching is “You.” Come fill your bucket so you can Inspire! "I can't tell you how much the audios mean to me. It is so eye opening to finally understand what discussing the classics can do. The years of experience that you and your family has with this type of discussion is revealing so much more about the books than I would ever discover on my own or with other novices at true discussion. I don't know if you realize how rare all of your insights are. There is no way with my limited experience at truly great discussion that I would ever come up with most of what you all pick up seemingly so easy. One of my biggest goals now is that within 10 years I may be able to see into the classics as well as you and your family does. Thank you from the bottom of my heart." 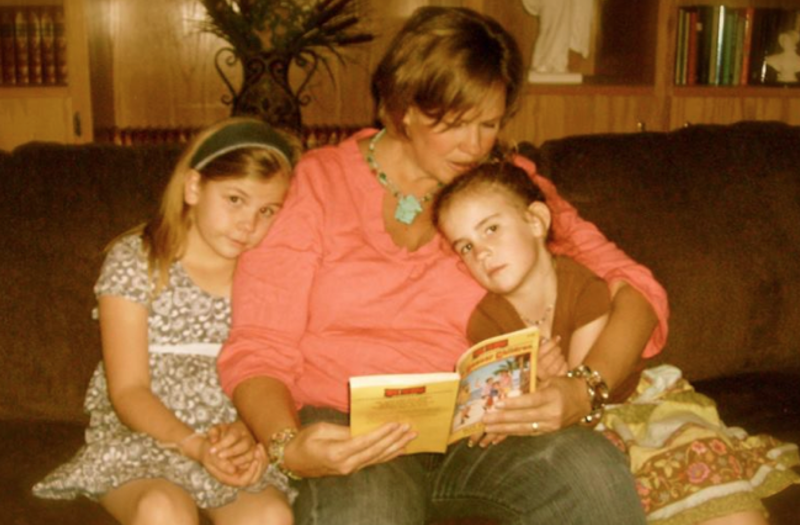 "Through [Mentoring in the Classics] I have learned so much about homeschooling my children. Our world and our minds are literally expanding as a family thanks to the enlightenment received from these downloads. I have personally learned so much about freedom and although I've lived in America all my life and have enjoyed the freedom offered in this country, my eyes are being opened to how we sometimes try to limit or repress each others' freedoms in our daily interactions with one another. I have learned so much! "Thanks for all the enlightenment!!" "I have always been an avid reader, and have read many books I really loved or liked. But I have never felt such passion for books until I joined this class and started studying them in depth and for personal purposes. It is a new dimension of reading for me that is exactly like my feelings for the scriptures. I am enjoying this so much and love the DeMille's enthusiasm on the audios. Amazing and fun." 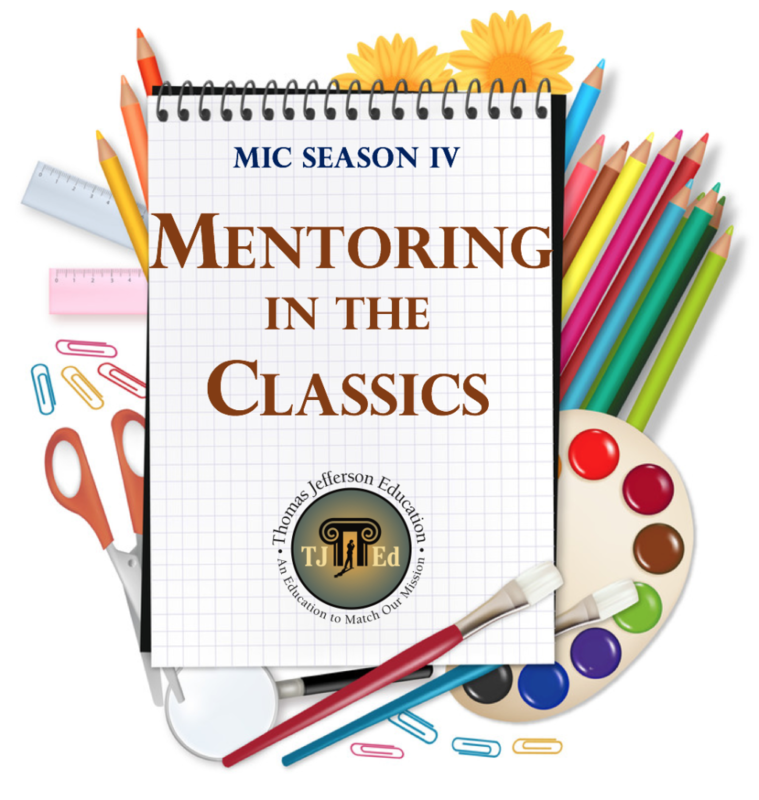 "I just want to thank you for creating the Mentoring in the Classics series. I had forgotten how much I love learning. My late husband used to joke that I would be 70 and sitting in a classroom learning something new. When he died I lost that motivation. This course has given me back that spark and I must say that I really missed it. I really appreciate all the hard work you and Oliver do to contribute to the community!" "I've been finding more ways to read history. It's been such a great experience reading "The Present Crisis", by James Russell Lowell with Mentoring in the Classics with Oliver & Rachel DeMille and being mentored by them and their family! Check it out at www.tjed.org/mic Thank you Oliver DeMille, Rachel DeMille, Vernie Lynn DeMille and all others!" "Thanks again DeMille family! WOW! These recordings are truly helping me understand and "witness" what a real education looks like. Reading the TJEd books are one thing but hearing your dialogue has been so eye opening to me. I feel like a kindergartner in my education journey and that's okay! I'm taking my time soaking it all in and pondering so many aspects of my life much deeper than ever before. I genuinely appreciate this opportunity to be mentored in a way I've never experienced before. Keep up the great work!!" "The audio recordings we listen to by Oliver and others are good examples of lecture done well. I think one of the keys to great lectures is the mentor's ability to keep the learner interested. Speaking with passion, giving examples, sharing personal insights, quoting other authorities on the subject." "TJEd isn't for sissies! Great education is worth the price, time, and sacrifice! Love Mentoring in the Classics class. So fun and inspiring. Thank you Oliver and Rachel DeMille and family:)"
I just listened to Oliver's debriefing on Pride and Prejudice and had to tell you right away YOU ROCK! I've been milling around in the classics and a classical curriculum for about 12 years feeling like I was missing something. I originally joined Mentoring the Classics because Les Mis is on the list and my husband and two oldest sons have read it and discussed it to death but I never thought I could handle the sadness. I thought it would be a good example in overcoming a hurdle, and I really wanted some help in this desire of mine to grow in the classics. I am so glad I did. It has brought joy and enthusiasm and direction to my self-education and has already improved my mentoring; the boys occasionally ask me ,"Do you think you're ready?" Thank you for these gifts. "LOVED the debriefing audio and bonus audio for Pride and Prejudice! Once again, I want to read it again right away after hearing all the great commentary and insights. Another freedom classic! I never saw it before. I'm am so grateful for your persuasion to do this Mentoring in the classics course, Rachel. I have to keep reminding myself that you guys have been doing this for a LONG time and my day will come when I will be able to pull these nuggets of genius out of classics myself. THANK YOU!!" "I love MIC. I am excited to feel that I am growing in my ability to mentor my family. It is hard for me to "let go" of the kids more and allow my education to take a front seat, but it is strange that by doing so, my kids' education is actually improving. (It's an "I told you so!" moment for you. Hehe) Even with Kidschool, I am doing things with them that I want to learn, or learn better. This puts me more hands-on with them and they love that. They love what I love and they love doing it with me. It's not teaching, it's just exploring. But that truly is education, and I'm having the Core & LOL phases that I missed (and didn't even know it). The knowledge of TJEd is easily lost in us as products of the public education model. It's very difficult to keep that public education model from creeping in and then taking over...time and time again. Keeping myself immersed with MIC allows me to recognize when I'm becoming too conveyor belt with my children. I can feel the richness of my learning through the model your family uses to mentor me; therefore, I am continually inspired to utilize that with my children. And, I am developing the skills to do so. I hope that MIC never goes away. I look forward to each month and love the diversity of subject matter. It's filling in the gaps for me and that's huge! This whole MIC idea- it's just genius!!" "Loved the audio!! Its so filled with excitement and energy, that's exactly what happens when I get to talking about things I'm passionate about. I'm so glad you are involved with this one Rachel DeMille...you bring excitement and another perspective to the table. Loving it!!!! "The audio itself was perfect for my husband and I. We both came away very inspired to reread Gatto's book. My favorite part of the audio was 'are we dumbing down passion in the name of conformity to make it easier on us as teachers?' Wow! Now I need to read the book with Oliver's suggestion to look in the mirror. What am I doing right or wrong? How can avoid teaching the way I was taught? Needing the inspiration to get off the conveyor belt once again. Thank you!!!" Oliver is the New York Times, Wall Street Journal and USA Today bestselling co-author of LeaderShift, a founding partner of The Center for Social Leadership and the author of A Thomas Jefferson Education: Teaching a Generation of Leaders for the 21st Century. He has taught graduate courses on the complete writings of Thomas Jefferson, The Federalist Papers, Aristotle’s Politics and other great classics of liberty. Oliver is a popular keynote speaker, writer and business consultant. His books on freedom and politics, including The U. S. Constitution and the 196 Indispensible Principles of Freedom, 1913 and We Hold These Truths to be Self-Evident, have sold widely, and are the backbone of his teachings on liberty and economics. Presently, he devotes a majority of his time to writing and mentoring. Oliver is married to the former Rachel Pinegar. They have eight children. View his personal website and blog at OliverDemille.com. Connect with Rachel in the Thomas Jefferson Education Discussion group on Facebook, or use the contact form at TJEd.org. Welcome to Mentoring in the Classics! 1.5: DeMille, What's So Great About the Classics? BONUS AUDIO: Does TJEd Really Work? Video Mentoring: Are you Fragile or Anti-Fragile? Video Mentoring: Are you a drag? Video Mentoring: Whose Job Is It? Video Mentoring: Are you a Good-Finder? I am loving the accountability that comes with being signed up for Mentoring in the Classics. I want to "get my money's worth" which means I try to take it seriously and spend some thought on each book. The audios are definitely helpful as are the study guides. Thank you all for putting this together. I liked the reading list for Mentoring in the Classics, but figured I would just read the books and discuss them with some ladies in my area. After almost a year of reading and discussing with others, I decided to try the subscription... and I realized that I have been missing out! I was blown away by the depth of the discussions, by the passion the Demilles have for learning, and the way they can inspire me to dig deeper. I now feel the need to go back and re-read the first books with more direction and focus, as I listen to the recordings. Thank you for this inspired program! I'm so glad I started! I'd been wanting to do MIC for a few months and was hesitating because it looked like a big commitment- 5 whole years of reading a book each month! What finally pushed me over the edge was a group of my younger friends. We decided that we are each going to do a hard thing, and this is what I chose. ;) What I've found is that the Demilles are so INSPIRING that I'm excited to get at it every day. The discussion section of this program is great! To hear other people's hearts on the topic of their own education and how they are seeking to inspire their families to get a superb one too has really moved me. I love the fact that MIC is a personal investment and it's furnishing my mind and heart with important things that make me deeper and broader as a person. I hope that a lot more people decide to take advantage of this opportunity. Can you imagine the effect in our neighborhoods, towns, and cities when families all over have deep discussions about really important ideas and then we reach out and serve our fellow man? Thank you a thousand times over to you TJED mentors for the time, energy, and expertise you invest here!